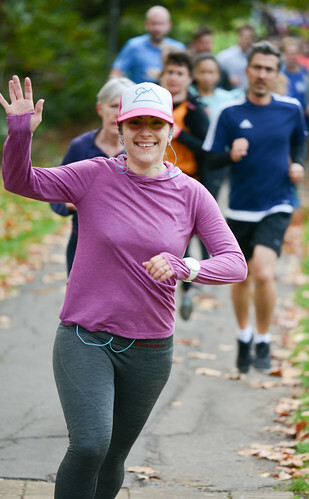 The parkrunners of South West London really were setting the ground on fire this weekend! With the Crystal Palace and Brockwell events cancelled for fireworks displays, Tooting saw an epic 643 attendees – still a way off our record attendance of 817 but a fantastic turnout nonetheless. Let’s hope that trend continues up to Christmas – after all, more miles = more mince pies! As I started writing I thought “I’m sure I’ve mentioned Nick Bester before…” and it turns out I have, quite a few times! The prolific Herne Hill Harrier has picked up 8 first place finishes at Tooting already in 2018 alone and notched up a 9th today, sneaking under the 17 minute mark by a single second. Ealing Eagles’ Matt Kaufman followed him in in a PB time of 17:20, with Edmund Crowther marking his first outing around the Trioundabout by nabbing third place 9 seconds later. Meanwhile Louise Bell from Clapham Chasers took a whopping 17 seconds off her previous PB to be first lady home in 20:22 – I’m sure she’s thrilled with the result after all her hard work these last few months. She even had time for a breather before watching the battle for second and third, with just six seconds and three places separating Iona Mumby in 21:11 and Fulham RC’s Sophie McKeeman (74th overall). Sophie joined the pantheon of parkrunners celebrating a PB today; 22.6% of the field beat their best time for the course, including 8 of our 22 junior runners! Georgina Waight was first home for the under 18s (representing the JW11-14 category) with a time of 23:41, and Joey Kielty took the accolade for first male under 18 with a personal best time of 24:35. Congratulations to everyone who pushed themselves that much further today – toffee apples all round! Of the 643 finishers – a little more than 41% higher than our weekly average! – we actually had surprisingly few tourists. There were just 85 first timers to Tooting, or 13% of the field, compared with this time last year where that figure was double. 36 of those marvellous people were actually running their first ever parkrun (welcome to the family! ), representing all ages groups from 10 to 60. On the other end of the scale Durham City Harriers’ Simon Gardner (who I believe was our furthest travelled tourist) ran away with the title for most runs on his 311th outing. We wished happy 150th and 100th parkruns to Ken Willis and Brian Jacobsen today and a happy 50th to Tim Keast and Benjamin Southall. Imogen Swales, Amelia Silvester and Rob Woodward are waiting in the wings for the chance to get their 100 T-shirt, while Robin Lovegrove, Stuart Court and David Sampson are looking forward to earning their red 50s. Last but by no means least, a MASSIVE thank you to our 31 devoted volunteers who gave up their time to make parkrun happen – I don’t think it can be understated how crucial you all are to making parkrun as successful, as safe and as fun as it is. 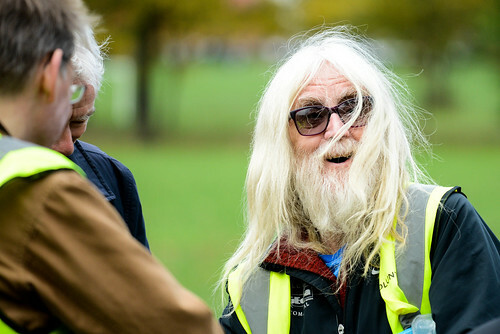 If you’d like to lend a hand one week please contact tootingcommonhelpers@parkrun.com or speak to one of the marshals at the next event. 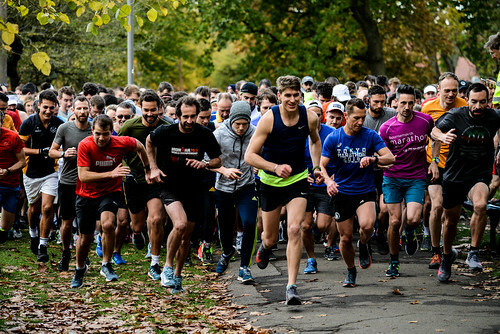 Today's full results and a complete event history can be found on the Tooting Common parkrun Results Page. 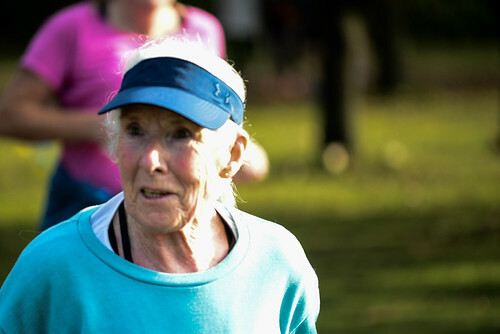 And photos of the event can be found on the Tooting Common parkrun Flickr site. This entry was posted in Run Reports and tagged Jasmine Sandalli by tootingcommonoffice. Bookmark the permalink.